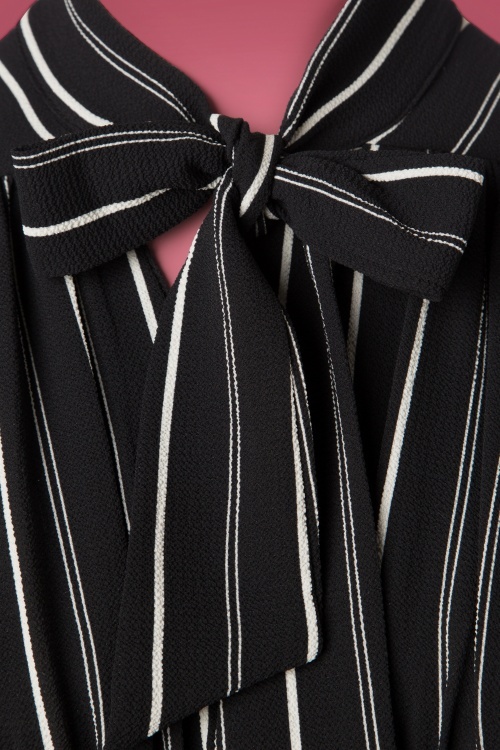 This 50s Harlow Striped Tie Top in Black and White is so versatile! 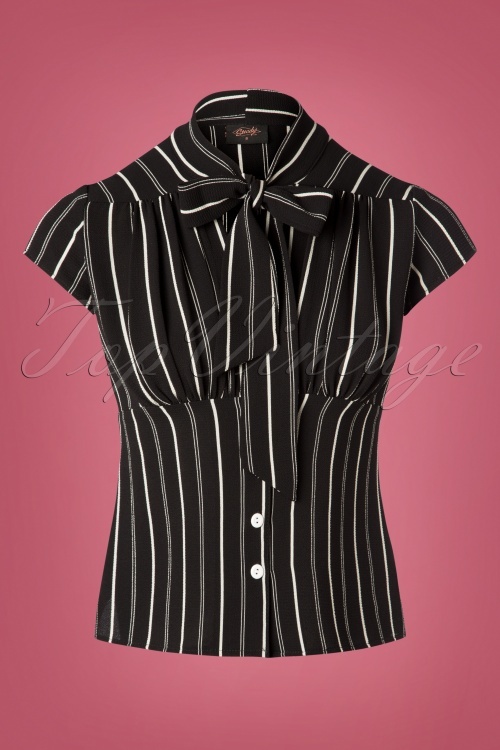 Rockabella, Pin-Up girl, classy lady or party diva... don't we all need a playful top with short sleeves and a cute bow? 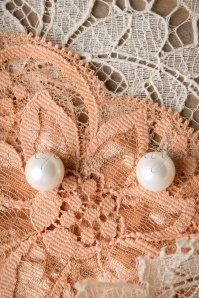 The row of white buttons and the white stripes add the perfect finishing touches. Made of a soft, textured black fabric (doesn't stretch) that is a joy to wear. When do you wear Harlow? Duh... like all the time!